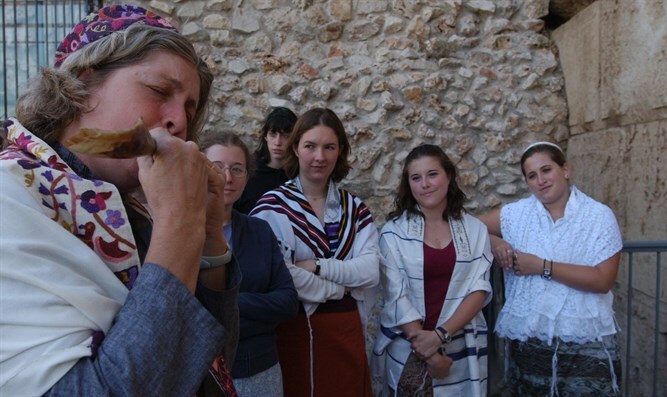 As every year in month of Elul, so this morning: Women of the Wall arrive to Western Wall plaza, produce Torah scrolls and blow shofars. 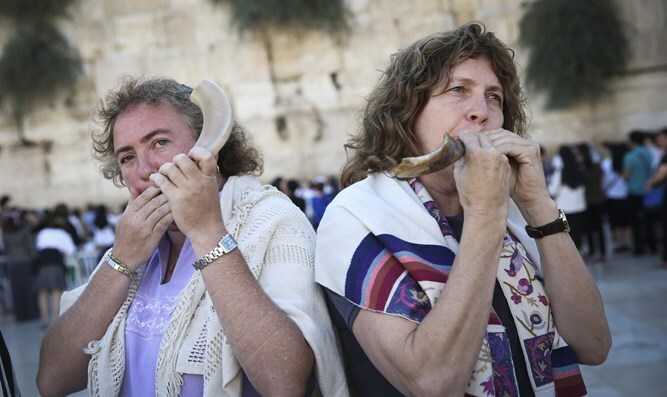 As every year in the month of Elul so this morning: Women of the Wall arrived to the Western Wall plaza, took out Torah scrolls, put tefillin on their heads, and blew shofars. According to eyewitnesses, during prayer, a Reform movement operative began to rampage and was arrested by the security forces in the area. In an attempt to prevent Women of the Wall from introducing gratuitous provocation into the Western Wall milieu, Attorney Tzafnat Nordman of the Harel Arnon law firm sent a letter to Attorney General Avichai Mandelblit to prevent the group from entering the Western Wall area. Joint Headquarters for the Preservation of Holy Sites Bezalel Zinni added "Rosh Chodesh Elul is time to do teshuvah, to repair the situation at the Wall, and to preserve the unity of the People." Women of the Wall describe themselves as having "engaged in a 30 year long struggle to achieve equality for women at the Western Wall," although the Wall Plaza women's prayer area is filled daily by hundreds of women who prefer to pray in their own section, as halakha mandates, and find the Women of the Wall, who arrive there only on the first day of every new Hebrew month, an annoying disturbance.